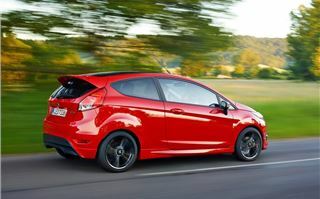 The Ford Fiesta ST has been universally lauded for its blend of value, performance and handling. But not everyone can justify the money for a full-fat hot hatch. 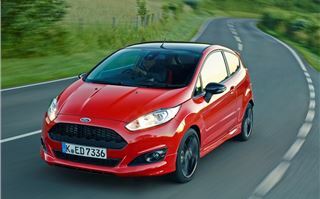 So, Ford has created a cheaper version called the Zetec S, with a 140PS version of the 1.0-litre EcoBoost petrol engine. As well as lowering the price, Ford has also livened up the looks with Red and Black Edition models; these get a body kit reminiscent of the one fitted to the ST along with contrasting paintwork in either black with red details or vice versa. 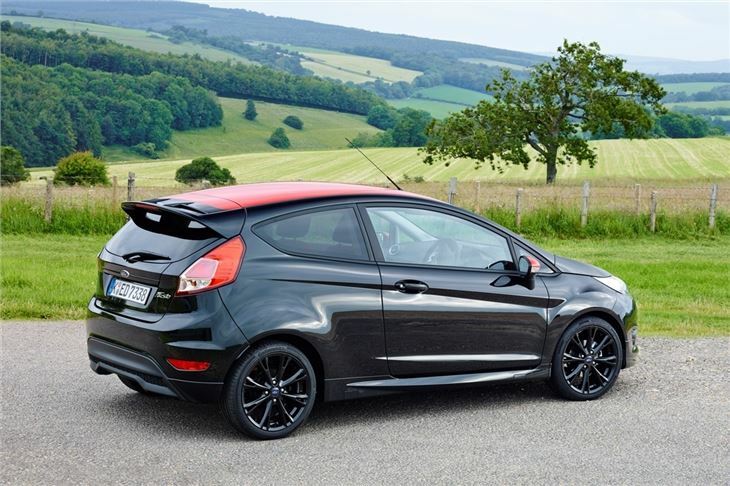 For those who want a Fiesta that stands out from the standard car, the Zetec S is ideal. On paper the figures are impressive. 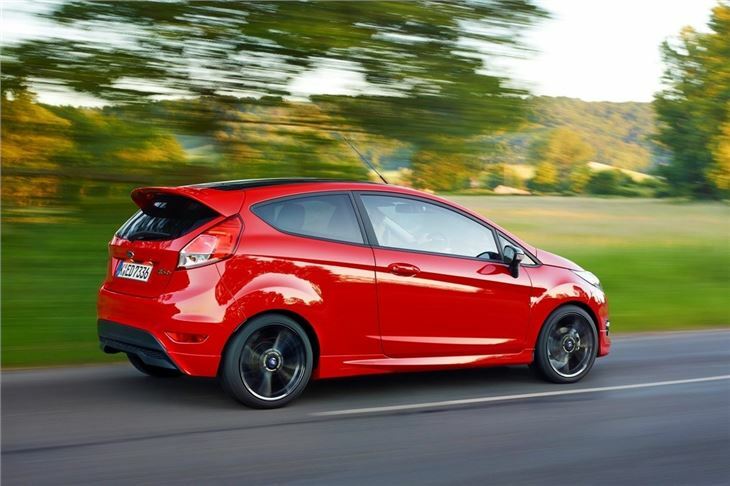 The 140PS gives the tuned EcoBoost engine one of the highest power-per-litre figures of any three-cylinder engine. Acceleration from 0-62mph takes a swift - if not ripsnorting - 9.0 seconds and perhaps more important the emissions is just 104g/km of CO2, which makes for cheap annual VED. Official fuel economy is 62.8mpg, but the EcoBoost 1.0-litre isn’t known for matching its official figures, so expect something closer to 50mpg in reality. 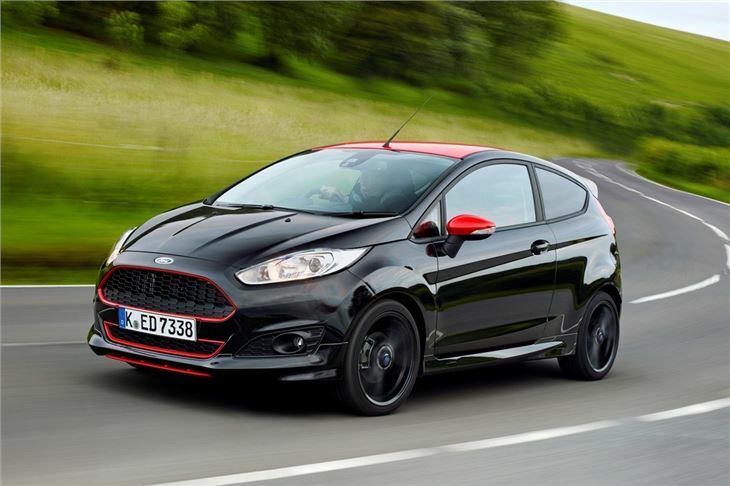 Something the EcoBoost is known for is its character and with 140PS it has even more. 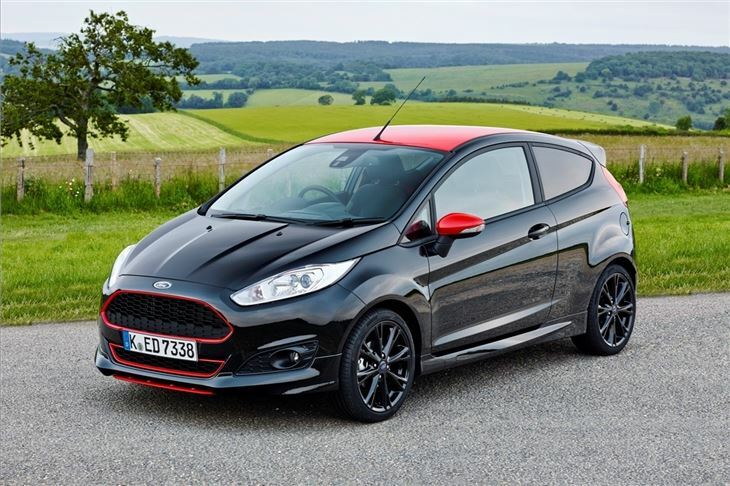 Its thrummy offbeat exhaust note and whooshing turbo sound are accompanied by a respectable surge - performance is enough to impress even if it lags behind a true hot hatch. Curiously the transmission only has five-speeds - not that it really suffers as a result. Changing up and down is easy, slick and precise so despite fairly close ratios you don’t really feel like sixth is a true necessity, even at motorway speeds. However an extra gear would certainly improve economy and reduce noise over a long journey. 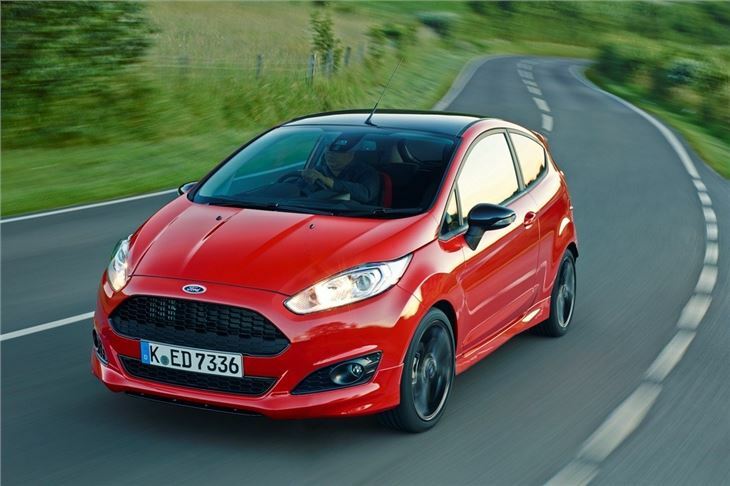 Ford has fitted a sports suspension system to the Zetec S and it works very well on UK roads. The ride is forgiving on rough, bumpy road surfaces, but still feels taut through twists and turns, inspiring a lot of confidence. It is on the firmer side of comfortable, but that’s in keeping with its sporty pretensions. The steering is excellent. It’s perfectly weighted and inspires you to press on over a stretch of twisting B-road. 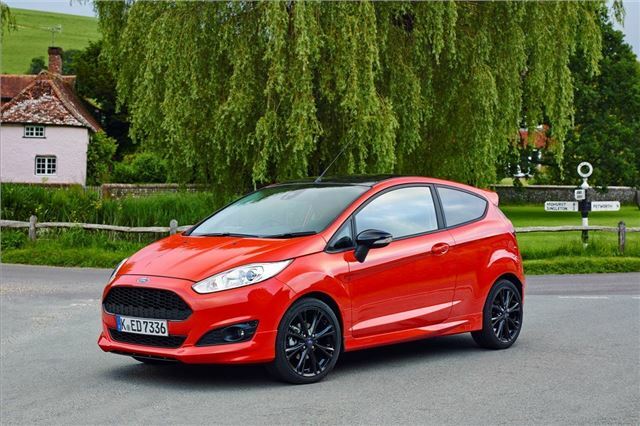 The current Fiesta is a great driver’s car even in entry-level form, but the Zetec S adds more precision and really flatters you if you drive hard, but without the occasional feeling of unpredictability and edginess you get from the ST.
It’s not as involving or exciting as the Fiesta ST, though. 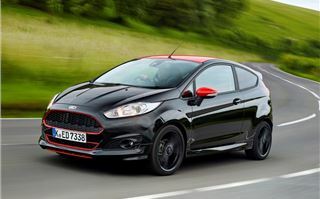 In fact, settle down to a more sedate pace and it’s as quiet and almost as comfortable as a more run-of-the-mill Fiesta model or even something bigger like a Focus. 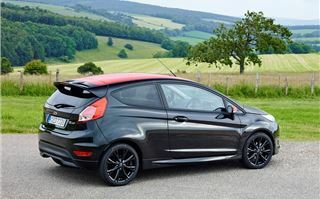 However, it is a nice compromise and a car that works as an everyday driver that delivers a bit of fun when you want it. The Fiesta might be an excellent car to drive but it is starting to show its age in other areas, notably the cabin. 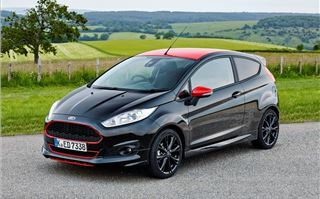 The Red and Black Edition Zetec S models get some extra embellishments like sports seats finished in red and black fabric, plus a gloss black centre stack, but some issues can’t be escaped. Rear legroom is tight, which means carrying rear passengers isn’t exactly easy, especially on a long trip. For us, rivals like the Renault Clio and Peugeot 208 are better and they come with better infotainment, too. The Fiesta also has a cluttered, confusing centre stack covered with small buttons that are difficult to get to grips with. These control functions on a small, tricky to read infotainment screen that’s far from the most intuitive or pleasant system to use. It is standard fit at least. In fact, standard equipment is good full stop. Air conditioning, electric windows and 16-inch alloy wheels are all included. All-in-all the Fiesta Zetec S 140 is very impressive. It offers a great compromise – not only is it fun to drive and good to look at, but it’s fairly cheap to buy. We also like the fact the 'S' is well-equipped and it should prove to be affordable in the long run, thanks to its low emissions and frugal engine. 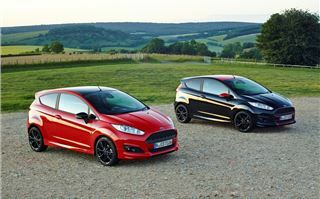 In fact, it could be the best non-ST Fiesta money can buy.